As one of the most popular hardwood flooring choices suitable for any style home, Red Oak is used as a standard for rating other hardwoods. Traditionally, produced as a select strip flooring product, Bingham has chosen to produce this product is a variation of wide widths and grades. We offer a select grade, free of knots, containing varying grain structure and a natural blush hue with flecks of brown. Our Sawyer’s Cut grade features all of the select characteristics, but allows for a more rustic appearance of knots and other minor defects. We also produce a select rift and quarter-sawn for a more stable flooring choice and most popularly used over radiant heat. Due to the broad graining and porosity, this specie can be easily textured and stained to achieve a custom handcrafted floor. Red oak trees are found in the U.S. in the Northeastern and North-central areas of the country. However, they have been known to reach as far south as Georgia and as north as Canada. Oak wilt has become an epidemic in many parts of the country, attacking the water conducting vessels and essentially killing the trees and surrounding red oak species. 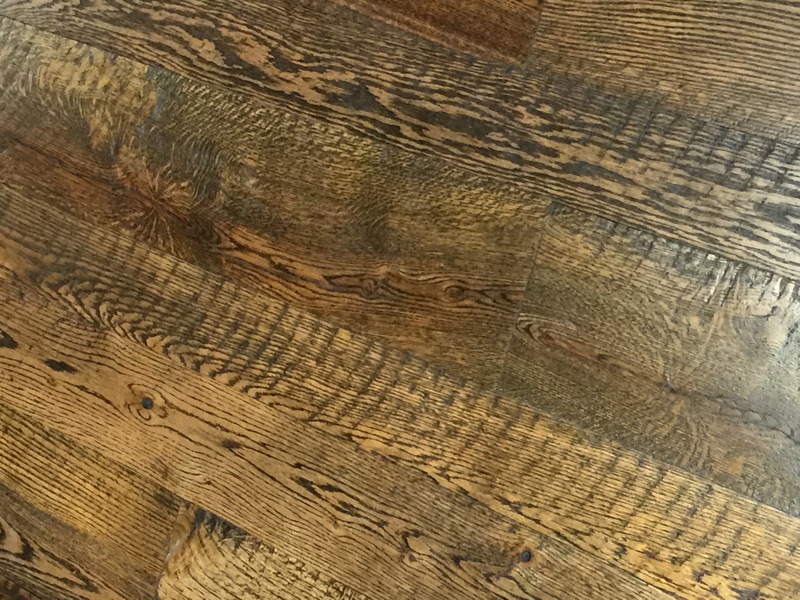 Although, red oak is still one of the most common flooring species manufactured today.